Apple on Thursday sent out invitations to members of the media, inviting them to a keynote presentation on Monday, March 9, where it's expected the company will give more details on the upcoming launch of the Apple Watch, and potentially unveil anticipated new products. Among the items Apple left unaddressed when it unveiled the Apple Watch late last year were the the device's battery life —which is expected to be a significant stumbling block —and its price, both of which could be detailed at the March event. Many will be watching for information on the pricing of the gold Apple Watch Edition, which some believe could exceed $10,000. Apple has said that the Apple Watch will hit store shelves and go onto the wrists of early adopters in April. Apple Watch launch details are expected at the March 9 event, but Apple could also use the event to unveil new Macs and more. Apple could also use the stage to unveil a new Retina display-equipped MacBook Air, though that is far from certain. The long-rumored device was thought to be awaiting the release of Intel's new Broadwell chips, which have begun to swing into high-volume production. It's expected that the new MacBook Air will feature a redesigned chassis and come in one screen size of 12 inches. There have also been claims that the device will feature the new, smaller, reversible USB 3.0 port. The event will be held at San Francisco's Yerba Buena Center for the Arts, a common venue for major Apple media briefings that are too large for the company's Town Hall theater on its Infinite Loop campus. A notable exception was the unveiling of the Apple Watch, which was held at the larger Flint Center in Cupertino, where the original Mac also made its debut. Beyond the Apple Watch and a rumored MacBook Air with Retina display, Apple has also been gearing up for a refresh of its existing-design 11- and 13-inch MacBook Air models. It's expected that they will also be outfitted with Intel's latest-generation Broadwell processors. Another potential product unveiling could be a so-called "iPad Pro," rumored to feature a 12.2-inch display. However, it's been reported that the device may not launch until the second quarter of 2015, which could also make it potentially a candidate for the annual Worldwide Developers Conference in June. Other products that could also receive updates are the MacBook Pro lineup, which is also due for a Broadwell refresh, and the Apple TV, which hasn't seen a significant upgrade in years. Apple's Mac Pro desktop has also remained untouched since it went on sale in late 2013. The last time Apple held a media event this early in the year was in 2012, when it unveiled the third-generation iPad with Retina display. In the years since, new product unveilings have not come from keynote presentations until the kickoff of WWDC. 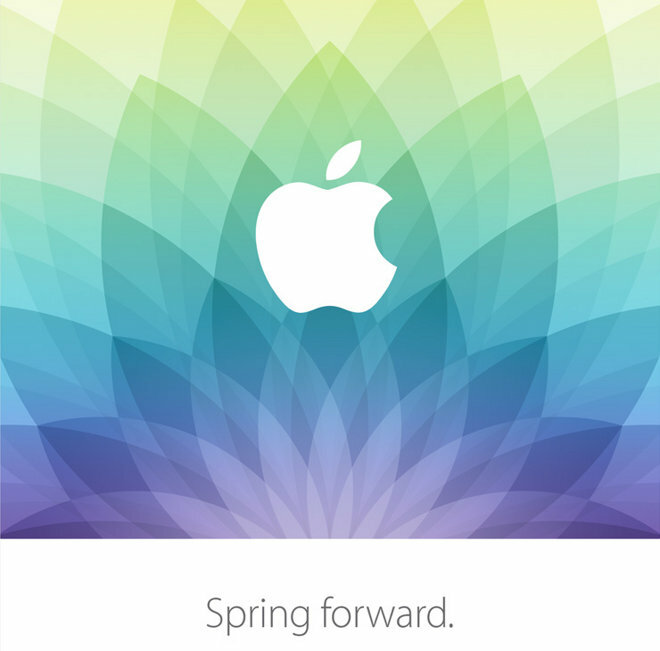 AppleInsider will be at the event providing live coverage, as well as all of the news leading up to it. Readers can stay informed through the official AppleInsider app for iOS, as well as on Facebook, Twitter, and RSS.